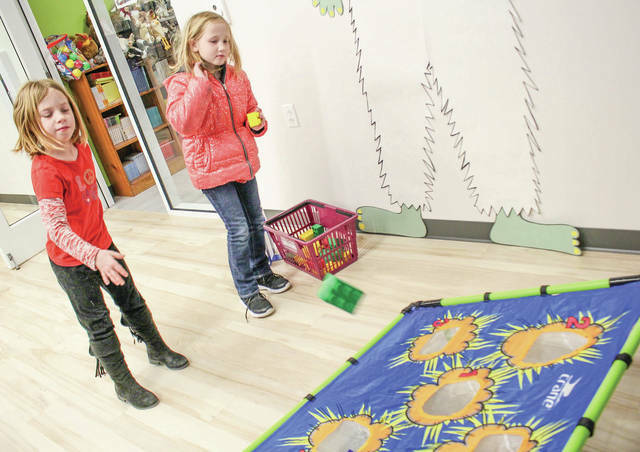 Sisters Kinsey Briley, left, 7, and Cailin Briley, 9, both of sidney, daughters of Landra Green, play at the Amos Memorial Library Monday, Jan. 28. The library had a LEGO day. Kids could come play games and do activities at the event.